After the car maintenance last weekend, I took the crib in the box from my parents’ house and invited them over to help put it together. My parents bought the crib for Jess’ shower gift, but it was so huge of a box we we’re going to lug it around to and from the party. 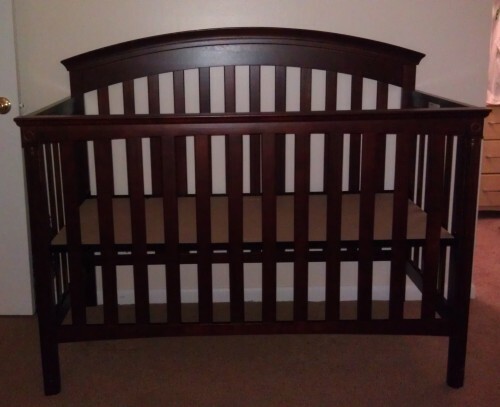 The crib is Carter’s Manchester Lifetime Crib in Dark Cherry wood so it would match our other furniture in the apartment. We have been trying to stick to the dark cherry/black wood with everything we buy. 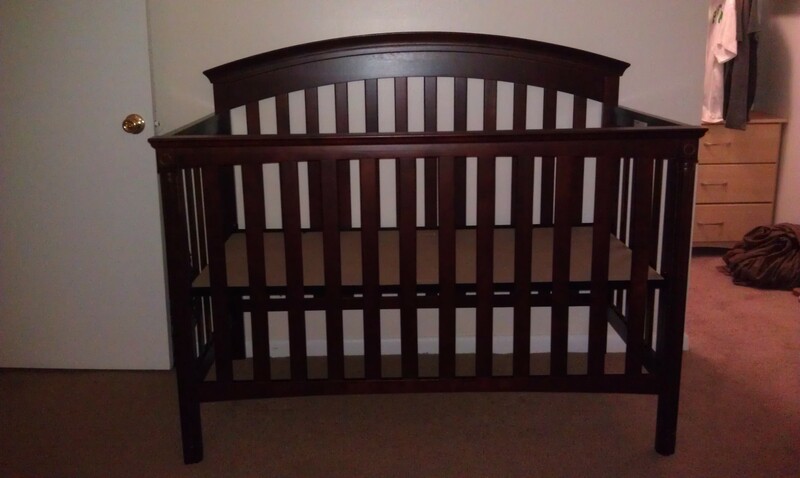 The crib is fully adjustable to raise and lower based on Arianna’s height. It also will convert into a bed for her once she is older. Can’t wait to put all the other gifts together and have to thank everyone else! Big thank you to everyone that has helped out so far, especially our parents.